LUTA is a unique fight wear company that focuses not only on innovative product design but also on their strong sense of social awareness and responsibility. As a company they share 50% of their profits with Fight for Peace International, an international organization that opens and runs academies combining boxing, martial arts as well as educational and personal development programs. The academies are in areas of the world where there are few opportunities for young people that don’t involve crime and violence. For this review LUTA sent their two most popular products: the MMA Performance rash guard and MMA fight shorts as well as their newest innovation the Laser Tech rash guard. My first introduction to LUTA was at BJJHQ when the MMA Performance rash guard was posted and promptly sold out. Luta offers rashguards, fight shorts, boxing training gear, and clothing. Born in the favelas of Rio de Janeiro, Luta is a new fightwear and lifestyle clothing brand that brings together real fight performance, favela street style and a genuine social mission. 1st – There was a need for really advanced performance fightwear and trainingwear. 2nd – I wanted to pay homage to the positive energy in the favelas and the strength I’d witnessed training young champions there since 2000. 3rd – I wanted to support those young champions in communities that suffer from crime and violence, by providing Fight for Peace with a profit share in the company. One last thing before the review. To celebrate LUTA’s new US Website we’ve gotten a 25% off coupon code good for all purchases from the US shop! The code is: BJJVIP and will be valid until December 19th, 2012. Sadly when the gear was delivered to me DHL had decided to test the packaging by repeatedly running over my new gear and also jamming in between a spinning wheel and a wall. When it was delivered the top half of the package was completely torn apart. At the time I was just happy that everything was still in the bag. I looked over the gear to see if there were any obvious issues from the treatment the package received on the way to me. I didn’t see anything at that time and I let LUTA know what had happened, that I didn’t want a replacement (they offered) and I wanted to move forward with the review with what I had. The MMA Fight Shorts have triple stitching at stress points, stretch fabric gusset for mobility, and moisture repellant fabric. The velcro closure is a little different than other fight shorts and has an integrated mouth guard in the center of the shorts. The closure use minimal velcro strips, a drawstring and a unique overlapping design. The final design element is the jacquard tape down each side. The shorts do not have a large slit in each side, which is nice if you’d like to wear them in public. 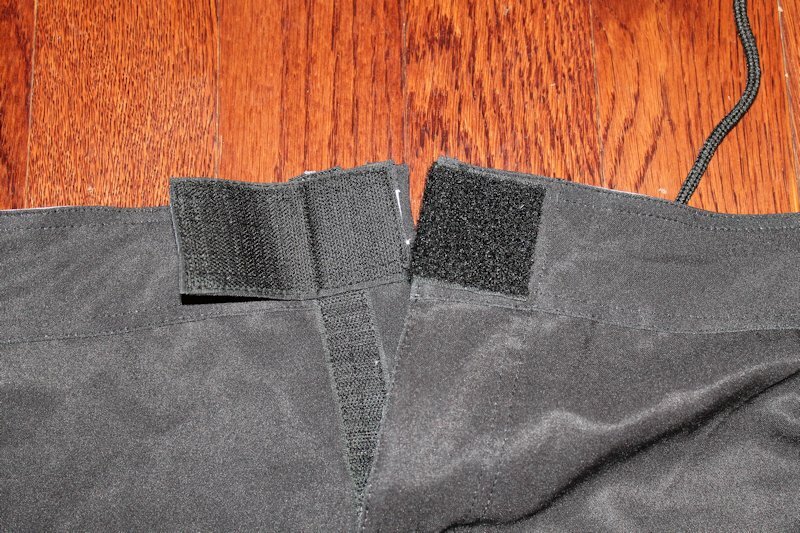 A spandex/elastic gusset allows for additional range of motion and the material of the shorts has some elasticity as well. The embroidery and side panels are well-stitched with no loose threads or apparent defects. Aesthetically, these are probably my favorite pair of grappling shorts. The MMA Performance Rash Guard and Laser Tech Rash Guard are both constructed of the same materials, polyester/elastane mix that is very lightweight and has excellent breathability. The rashguards are built to the same measurements, have identical side vents and feature heat bonded illustrations. The LUTA brand logo is emblazoned on the chest and heat bonded to prevent peeling or flaking. There is a small Luta company logo patch sewn into the bottom left hand corner. The only other adornment is another Luta logo at the base of the neck, this one is heat bonded to the rashguard and features the silhouette of a fighter with his arm raised. 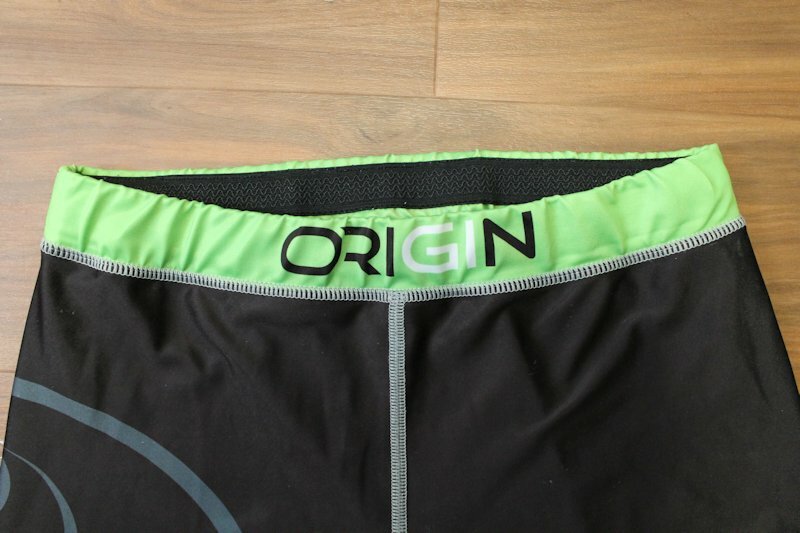 The seams are flat-stitched throughout and aren’t noticeable. The only difference between the Performance rash guard and the Laser Tech rash guard, other than color, is that the Laser Tech rashguard has no stitching on the seams at the panels. The panels are cut and then joined with taped seams that are ultrasonically welded. The absence of seams is unique among rashguards and makes an already comfortable product even more comfy. These are some of my favorite shorts to wear and are in heavy rotation for training. They’ve held up very well over the last few months and look great. They’re very comfortable and have plenty of range of motion for all of your open guard needs. The velcro closure is different than I’ve seen before and it works well. The length and overall fit of the shorts was great and they have the added bonus of being wearable outside the gym. I’ve been lusting after this rash guard since I saw it at BJJHQ earlier this year. Built with the same dimensions and specs as the laser tech rash guard this short-sleeve rashguard is very comfortable and worked well for me while rolling. The bottom of the rashie rode up while rolling which is sometimes a problem for me because of the length of my torso. Unfortunately, the Performance Rashguard was seems to have been affected by the handling that it got in transit to me. 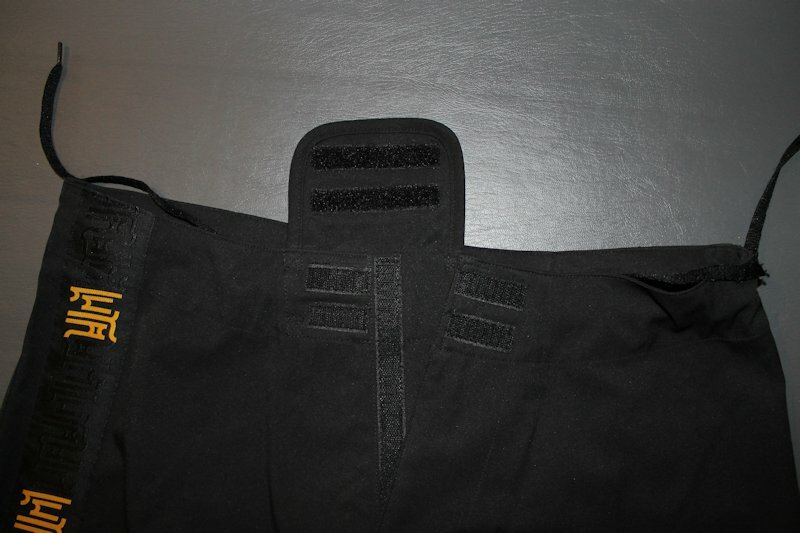 The rashguard’s bottom seam began to unravel after about 5 washes. For another review of the shorts and MMA rashguard check out Meerkatsu here. I didn’t get to use this one very much which is a shame because it was the most comfortable rashguard I’ve ever worn. It had the feel of an old, super-soft t-shirt with the elasticity and fit of a typical rashguard. If you’re looking for warmth this isn’t going to help you much but for those looking for comfort it’s a great option. Like the Performance rashguard the bottom of the rashie rode up while rolling. Once again DHL’s handling of the package seems to have reared its ugly head. The seam at the bottom of the rashguard came undone after 2 washes. Initial inspection of the rashguard didn’t show anything out the ordinary but after the 2nd wash the seam had come undone. The condition that it was in at delivery may have been a contributing factor. LUTA was very responsive to my concerns about the rashguards seams. I shipped the Laser Tech rashguard back to them at their expense and so that they could perform testing on it to determine what the underlying cause of the problem was. They’re also updating the design to include more body length, adding silicone printing and additional seam reinforcement. I contacted Seymour Yang (aka Meerkatsu) about his rashguard and he let me know that it’s still going strong after more than a year of regular use. Fight For Peace is a great organization that is doing great things for those with few options. Anytime I’m able to support such an organization I will. The programs run by Fight for Peace help over 2,200 young people every year and the Luta brand has been integral in helping them to achieve sustainability. As I mentioned earlier I followed up with Seymour Yang on the durability of his Luta gear. He said that he’s still using it regularly and it’s holding up well. I trust Seymour’s opinion on gear and think that DHL had quite a bit to do with the way the rashguards turned out. All of the gear looks great and have features that aren’t typical of other fight gear. The service provided by Luta is top-notch and the responsiveness to my concerns was excellent. The gear is not cheap and the price may put it out of reach for some but I would remind you that Luta is essentially a fundraising organization to support Fight for Peace. If you’re already donating to a charitable organization why not check out Fight for Peace/LUTA get some gear as well? And don’t forget we do have a coupon code, BJJVIP, for our readers to get 25% off any item at the US store for a limited time.